Dr Jane Birkin is a Research Assistant at Winchester School of Art, and an independent artist, designer and scholar. Jane also works on exhibitions in Archives and Manuscripts at the University of Southampton, as exhibition designer as well as in a curatorial role. She has taught across various areas, including Visual Cultures, Communication Design, Fine Art, and Digital Humanities. Jane’s theory and practice, ever intertwined, are specifically concerned with the description techniques of archives and museums that define and manage the photographic image. Jane unfolds the term ‘archive’, not as a discussion of nostalgia and decay, but by approaching images through the ‘grey literature’ of catalogue descriptions and lists. 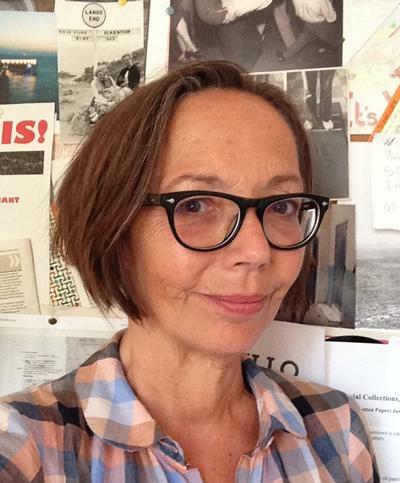 Her research functions at the intersection of text and image, combining media culture and techniques of the archive, as well as contemporary discourse on art, photography and conceptual writing. Jane has exhibited and performed nationally and internationally. She is a member of the editorial board of the journal Media Theory. Jane’s research takes the archive as its primary locus. Her practice materialises as text-only work, still and moving image installation, and lecture-performance. She writes about image description and performative practices inside and outside the archive. In 2015 Jane completed a practice-based PhD at Winchester School of Art, entitled, ‘Units of Description: Writing and Reading the “Archived” Photograph’, supervised by Professor Jussi Parikka. Birkin, J. (2018). Translate and describe: archive-based image description as an intermedial translation technique. Amodern, 8(Translation-Machination). Birkin, J. (Accepted/In press). Manifesto: Graphic, Sonic, Affective Object. Media Theory, 1(1). Birkin, J. (2016). Describing the archive: preservation of space, time and discontinuity in photographic sequences. Networking Knowledge: Journal of the MeCCSA-PGN, 9(5), 1-19. Birkin, J. (2015). Art, work, and archives: performativity and the techniques of production. Archive Journal, 5, 1-14.